They told the world “You can dance if you want to” 30 years ago – and we did. A few years later they instructed that same planet – the third – to go Pop – and we did. Men Without Hats have been creating iconic and irresistible pop music for three decades and have soared back with the release of their latest album, Love in the Age of War, to be released this May. Led by charismatic front man, lead singer and songwriter Ivan Dorschuk, MWH has surged back starting with a breakout show at 2011’s SXSW and followed by extensive, well-received touring across North America over the last year. Along with keyboard player Lou Dawson and guitarist James Love, Doroschuk and the Hats have been delivering high energy shows packed with all of the band’s absurdly catchy lyrics as well as great tracks from the new release, a disc that picks up where the hit-making band left off. And that’s what the Hats deliver, tracks that will get you bopping across the dance floor with subtle messages that will haunt you long after the music has ended. 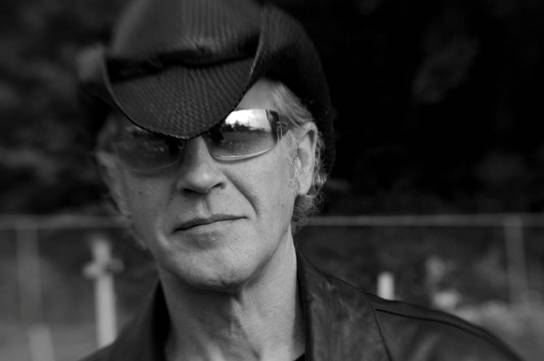 Men Without Hats have been providing a hit-filled and hooky soundtrack for our lives since the 80s and the band powers magnificently into the 21st Century with a steady stream of jaw-dropping live shows and a fantastic new album. You still can “dance if you want to” and Men Without Hats makes it easy and fun.